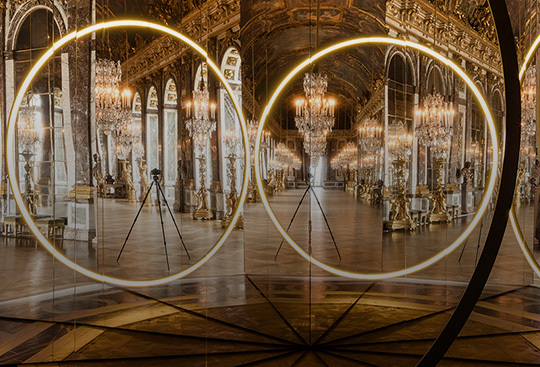 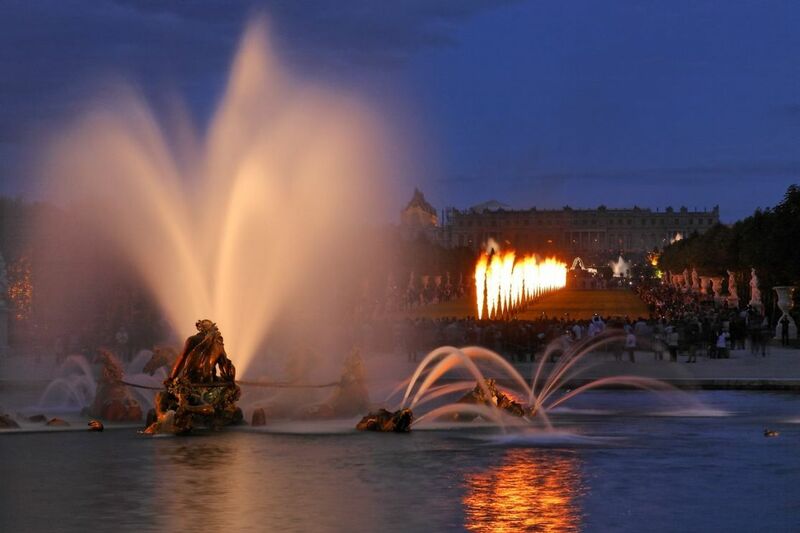 We offer the possibility of coupling your visit of the Night Fountains Shows with the Royal Serenade in the Hall of Mirrors, a privileged visit of the Château de Versailles Grand Apartments at sunset with performances by baroque musicians and dancers. 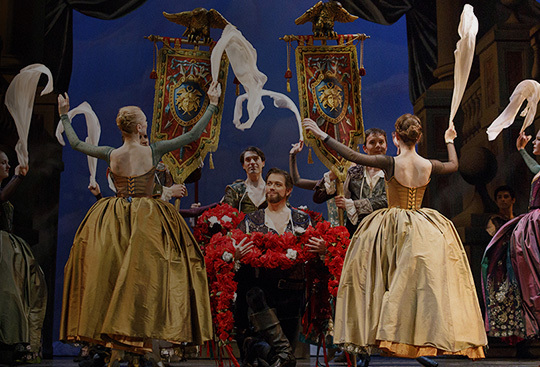 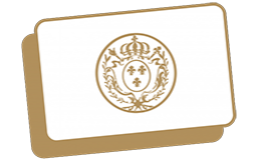 Enjoy a royal evening with the prestige ticket. 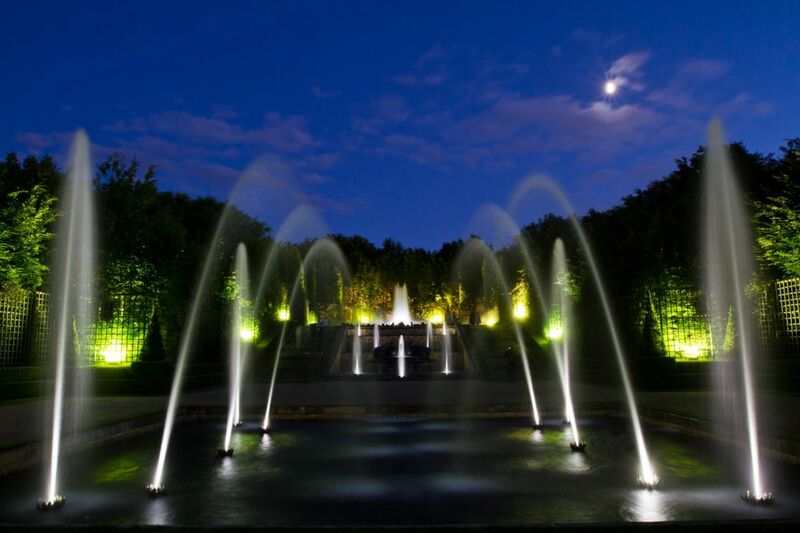 Reserved parking, privileged welcomes with a glass of champagne on arrival will contribute to making your evening at the Night Fountains Show unforgettable (See price list). 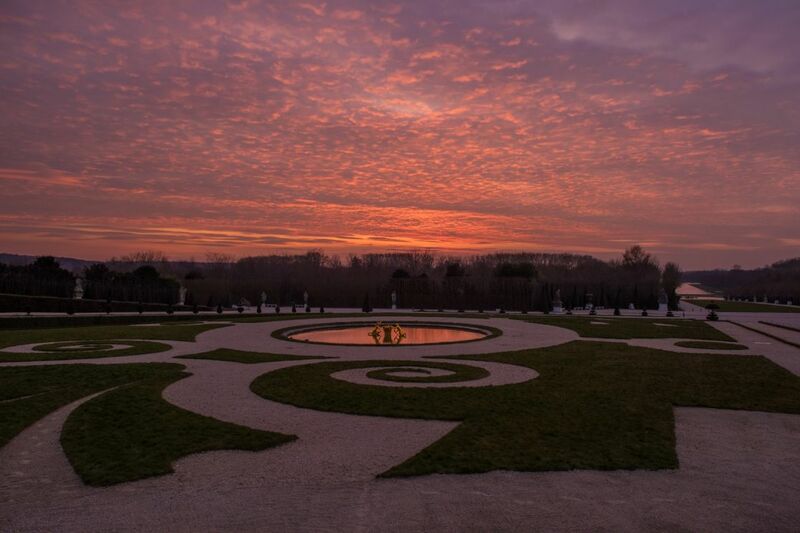 Not sure of the date of your visit? 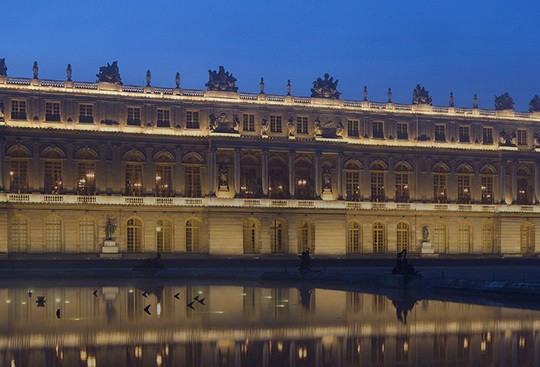 Choose an undated priority access ticket! 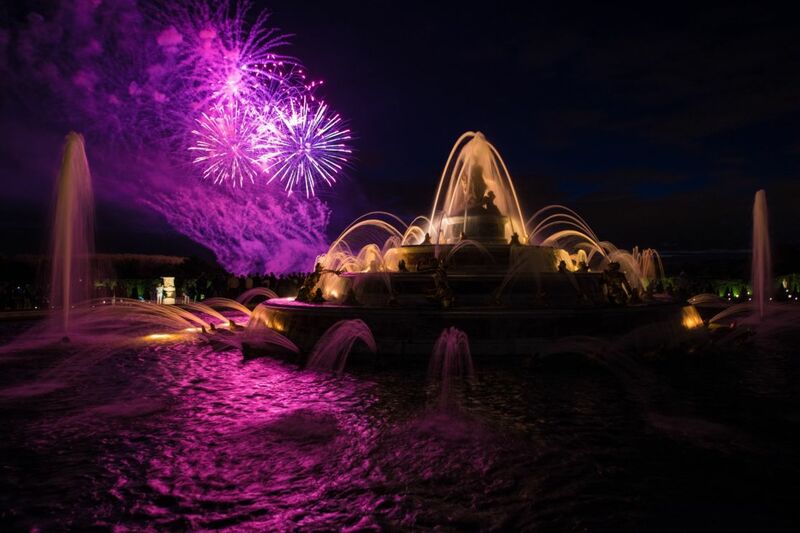 THE NIGHT FOUNTAINS SHOW – JUNE, 22nd: RETURN TO THE SUN KING’S COURT! 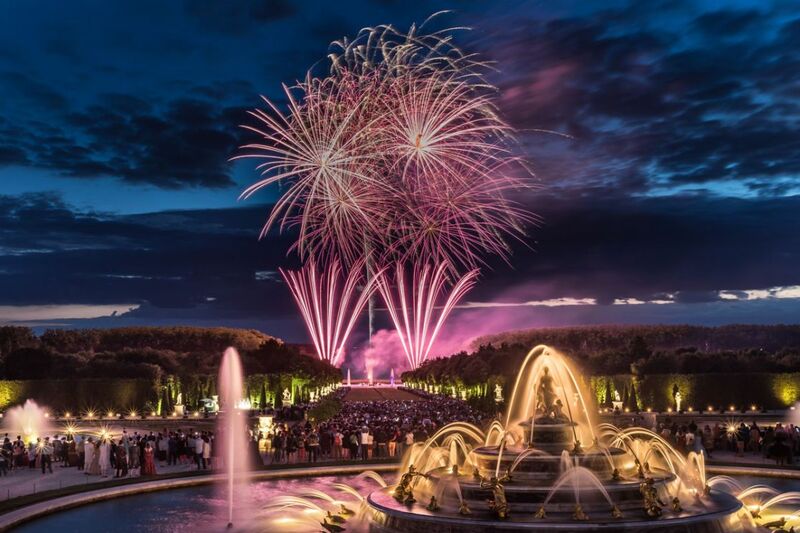 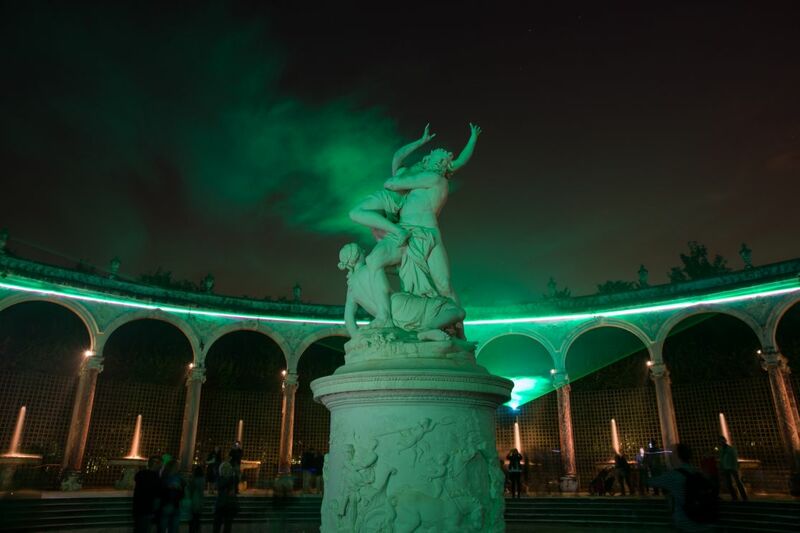 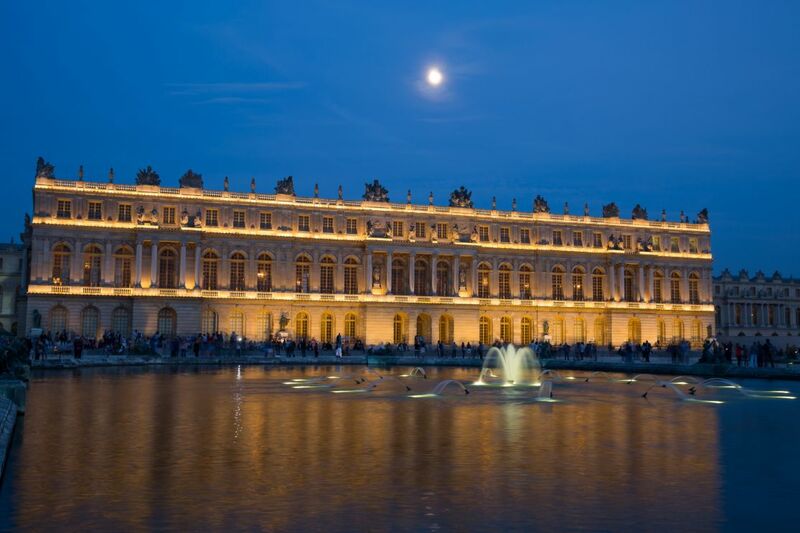 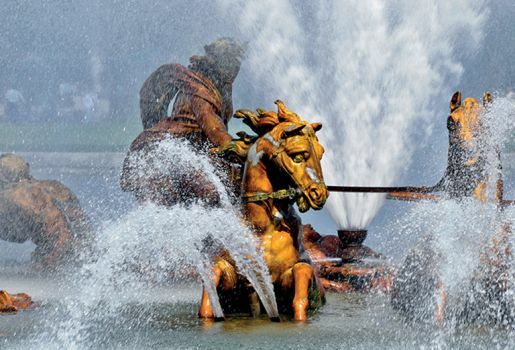 On Saturday June 22nd, from 8.30 pm to 11.05 pm, about 2 000 participants to the Grand Masked Ball will be dressed with baroque costumes and will stroll in the gardens of Château de Versailles for the Night Fountains Show. 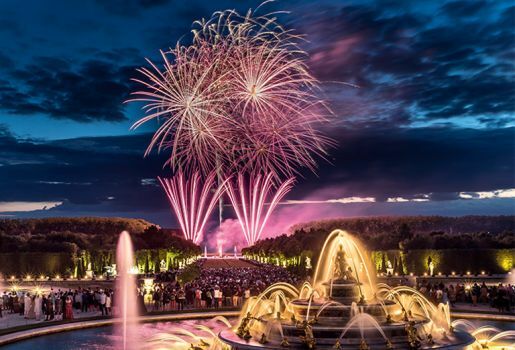 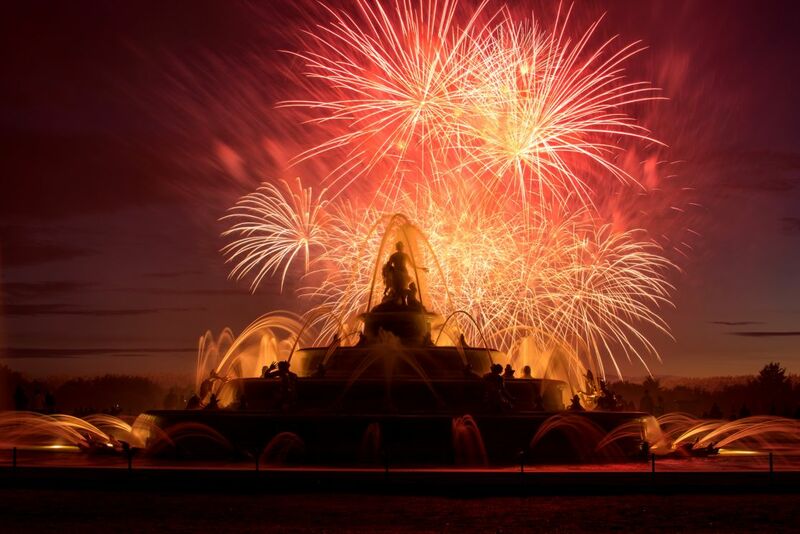 Take part to this exceptional and unique evening to discover and enjoy the extraordinary beauty of the Château de Versailles’s magnificent gardens, magically illuminated, with all the fountains playing and a grand firework as crowning point. 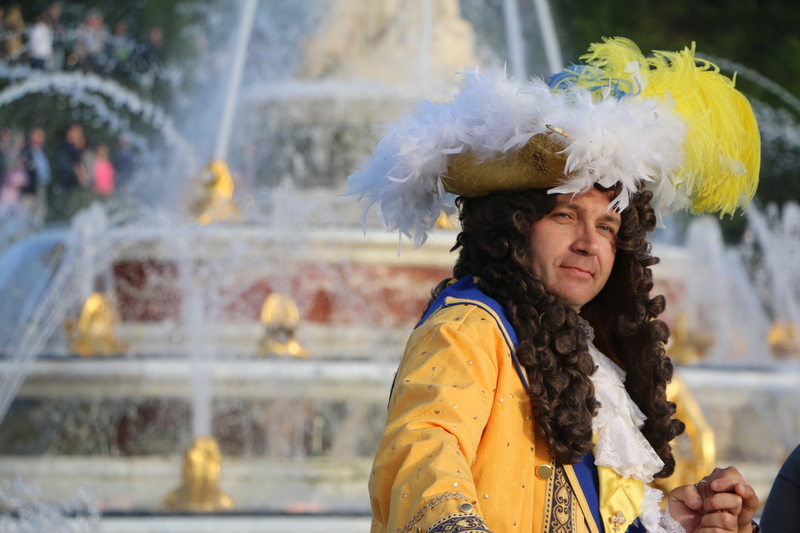 Relive the fairytale atmosphere of the royal parties which animated the King’s Court! 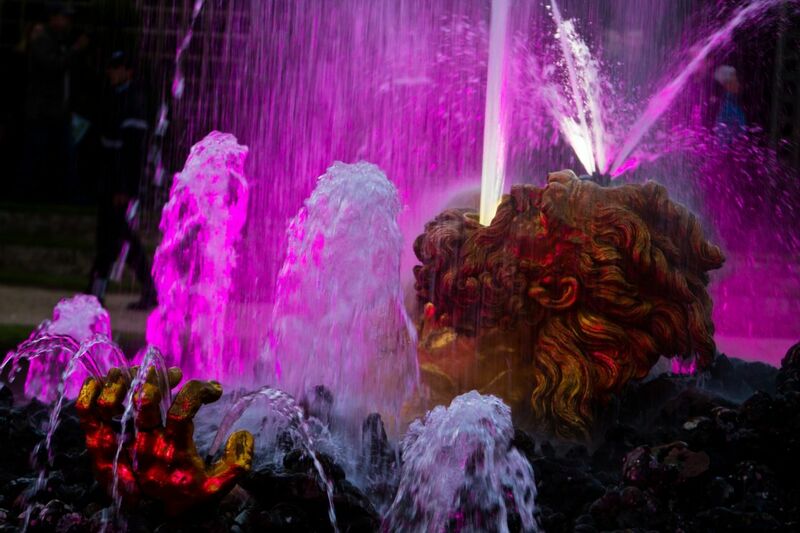 • Direct access to the site from 7.45 pm. 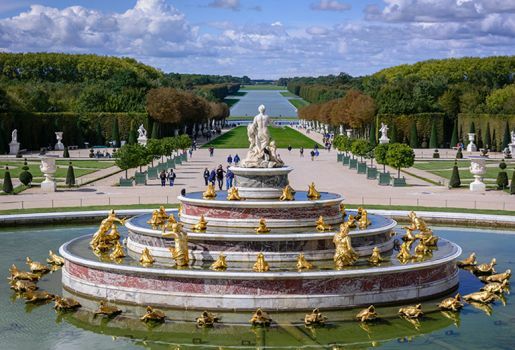 REDUCED RATE for 6-17 years old, students, invalidity card + 1 guide for invalidity card, Château de Versailles Spectacles loyalty card holders, and 1 year in Versailles card (solo or duo) holders. 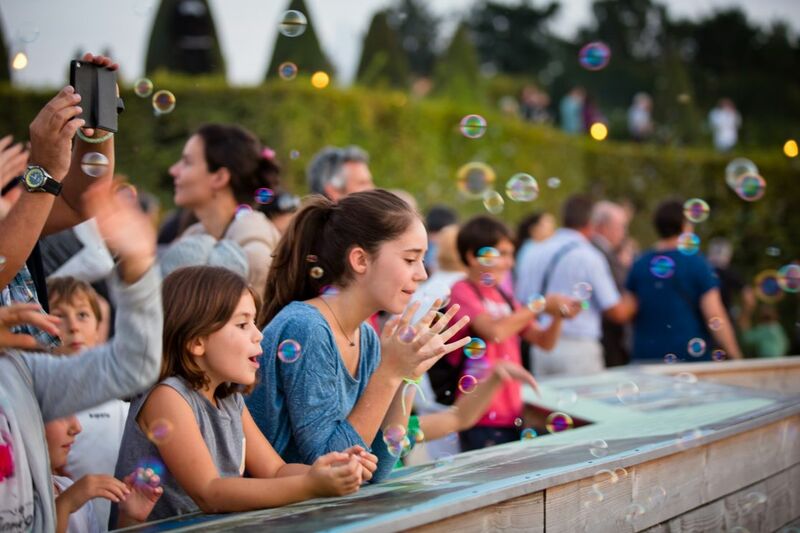 FAMILY TICKET for 2 adults + 2 children (6-17), only available on June 15th and 22nd 2019. 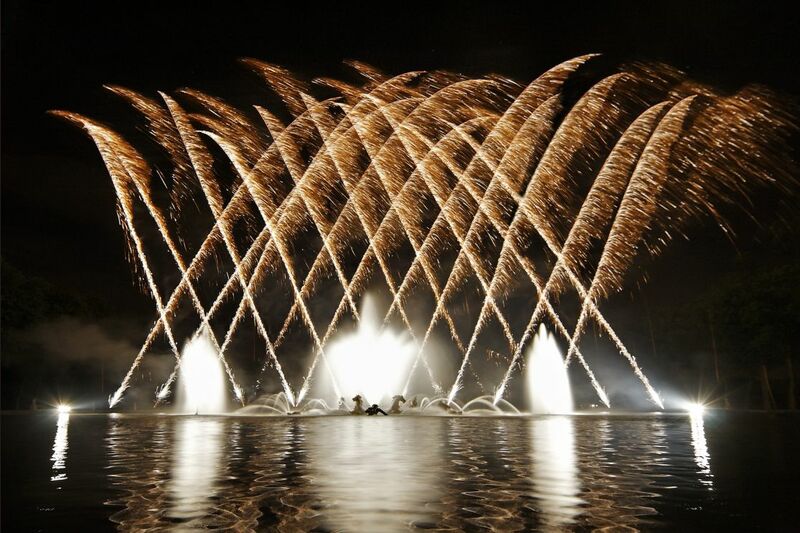 /!\ Packaged ticket with the Night Fountains Show available on presale by phone or on the website. 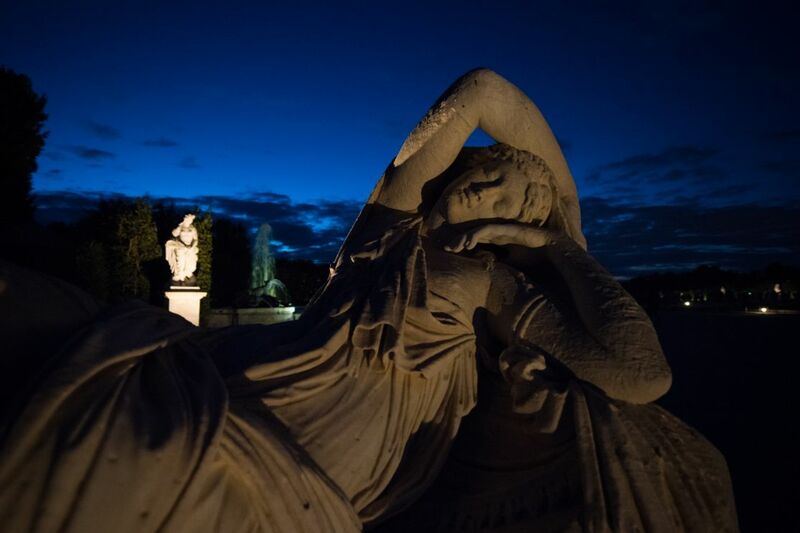 Not sure of the date of your visit? 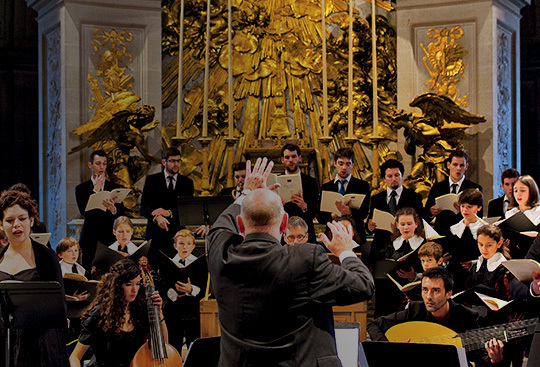 Choose an undated priority access ticket ! 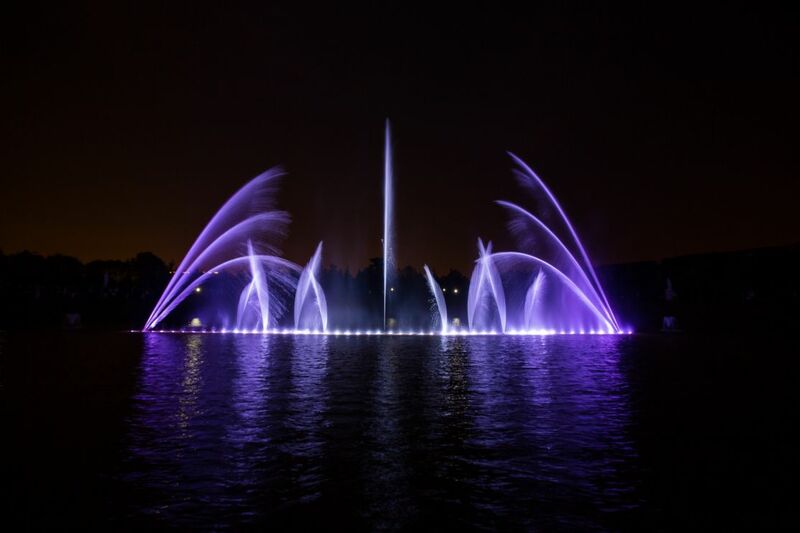 The Night Fountains Show is taking place whatever the weather conditions. 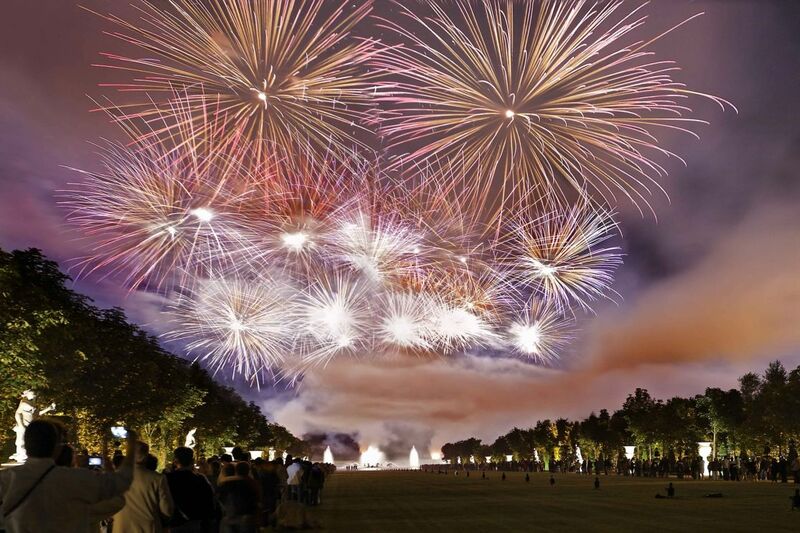 Tickets are non-exchangeable and non-refundable, even in case of bad weather.